Camp WeSC Girls Easter Edit! Following last weeks release of the Camp WeSC Easter skate edit, we thought we would put together a girls edit with the leftover footage! Check out 3 of the Girl Skate UK Quartet, along with little 9yr old Leeds ripper Georgia-Rose Scott, and Japanese Wakefield local, Ayumi Powell shredding Rock City Skatepark in Hull, East Yorkshire. This summer Vans rider Helena Long will be joining our team of coaches, so expect some female gnarliness in the next Camp edit!! 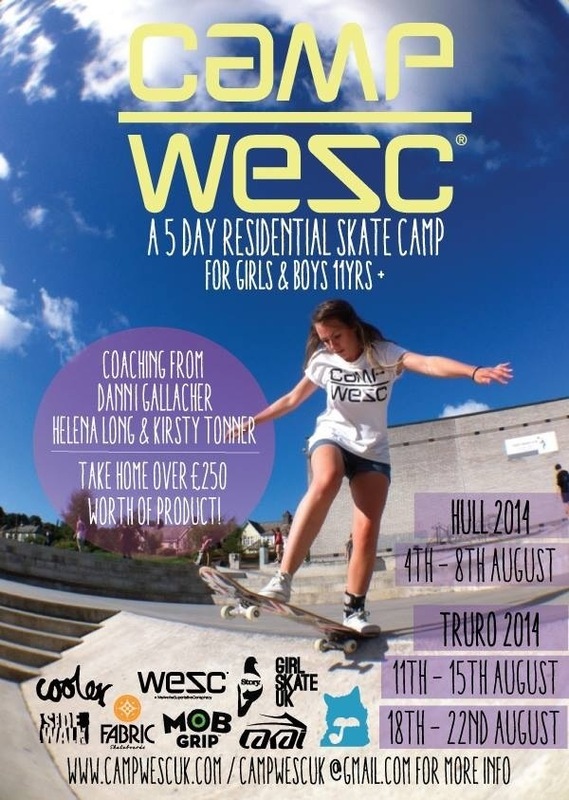 If you think this sounds like fun, there are a few places still left on the Hull Summer camp in August, and plenty for the Truro Camps so head over to http://www.campwescuk.com and sign up today for a fun filled all inclusive skate holiday!